Requires Mac OS X 10.8 or newer. with Apple's macOS 10.14 (Mojave). Details are here. 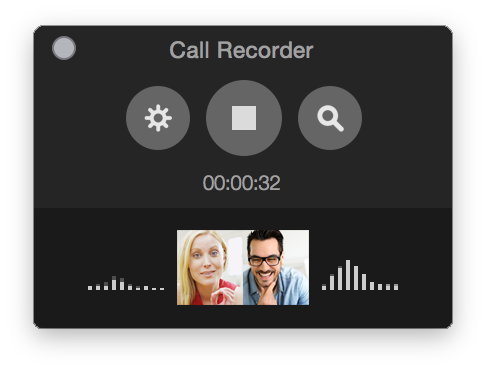 Record FaceTime audio and video calls directly to your Mac. With Call Recorder you get perfect recordings of your FaceTime chats, podcasts and interviews, exactly as you see them, or in our unique side-by-side and split-screen modes. All in crystal clear HD. Doing some editing? Call Recorder lets you split the audio and video tracks after a call. Answering a phone call on your Mac? No problem, Call Recorder records that too. Record iPhone calls with the touch of a button, or record automatically. We also offer a Call Recorder for Skype. Get both apps together and save $20!